Exceeds FMVSS No.116 (284 degrees F minimum wet boiling point), SAE J-1703 specifications. Directions: Refer to the appropriate Service Manual before adding or replacing brake fluid. Do not add DOT 3 fluid to DOT 4 systems. Do not mix with DOT 5 fluid. Avoid fluid contact with brake lining or painted surfaces. 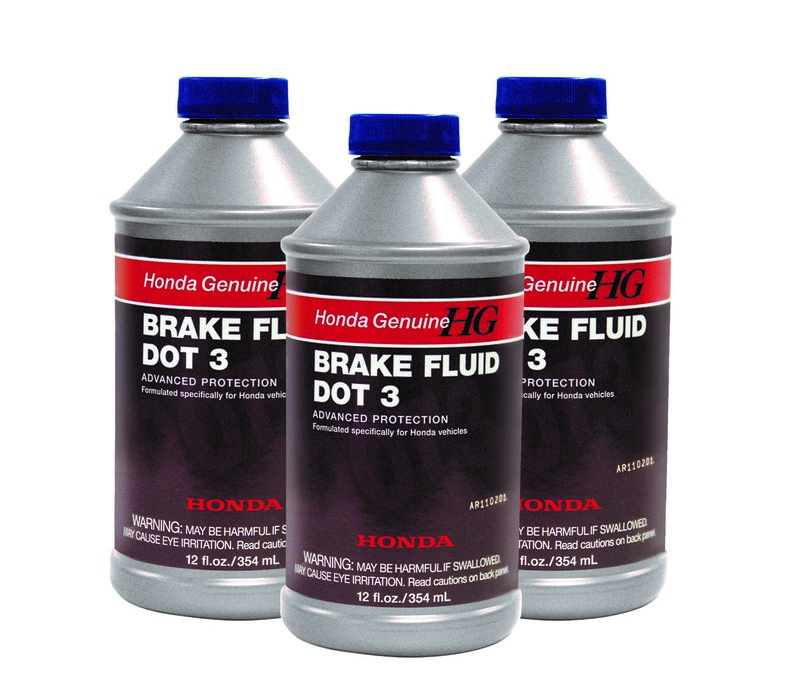 FOLLOW VEHICLE MANUFACTURER'S RECOMMENDATIONS WHEN ADDING BRAKE FLUID. STORE BRAKE FLUID ONLY IN ITS ORIGINAL CONTAINER. KEEP CONTAINER CLEAN AND TIGHTLY CLOSED TO PREVENT ABSORPTION OF MOSITURE. CAUTION: DO NOT REFILL CONTAINER, AND DO NOT USE FOR OTHER LIQUIDS.